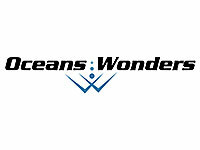 Oceans Wonders is a small and growing company in Northeast Iowa. Our goal is to help preserve the beauty of the vast oceans reefs. Every year thousands of corals are taken from the oceans slowly depleting wild caught specimens. Eventually……. it may become illegal to harvest wild animals from the ocean, it is our goal to be sure this hobby stays affordable, legal and enjoyable for all. Our products also make a great way to help hobbyist fund their addiction by propagating and reselling their own corals right from their own aquariums.